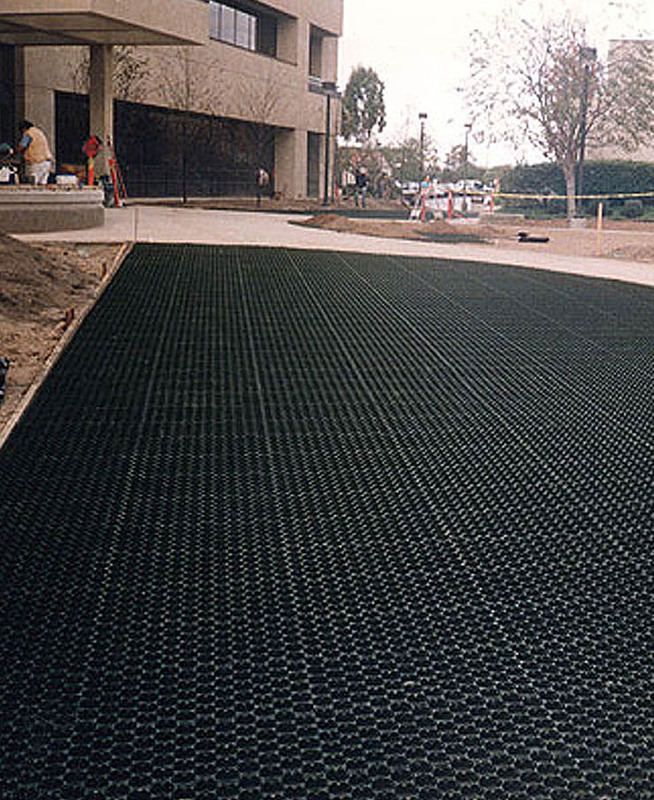 A plastic system developed in the USA in the 1980's and available from us under our exclusive European Licence..
An interlocking honeycomb structure, enabling a grass cover in excess of 90%. 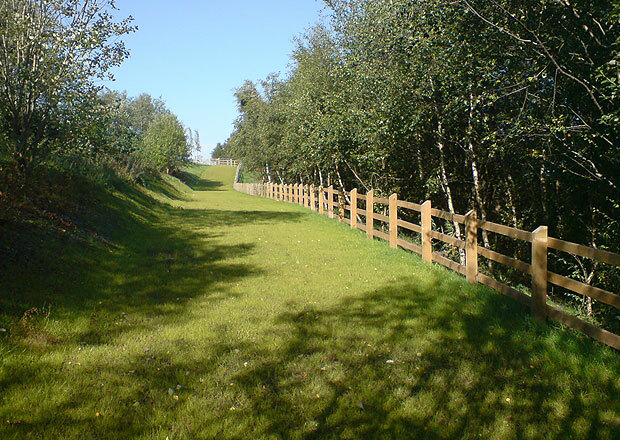 The system offers the ideal solution where a low visible intrusion and occasional use is required. 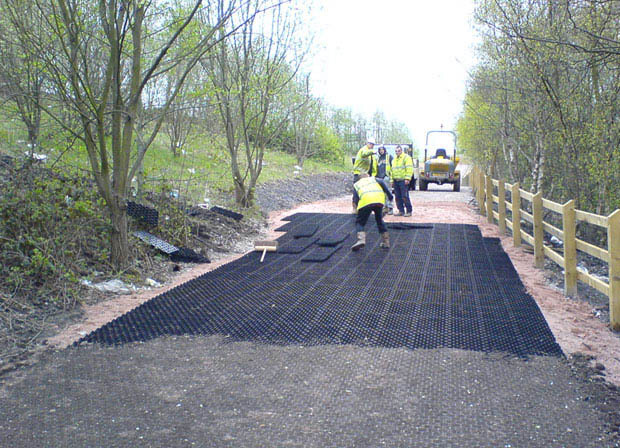 Grassroad can be complemented by use of our dry-fix Grasskerb edge restraints; providing a low cost and visually sympathetic solution.